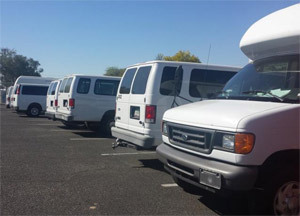 Transportation - ACHIEVE Human Services, Inc.
At this time ACHIEVE provides limited van service at established pick up points for persons who are unable to secure any other means of transportation. Space is limited and service is not always provided door to door. If you are interested in utilizing ACHIEVE van service, please discuss this with your Job developer/Coach. ACHIEVE provides Transportation Related Employment services to clients that are approved by the Department of Economic Security Division of Developmental Disabilities. ACHIEVE does except private pay for individuals with disabilities that are employed by our agency. The following rates apply.